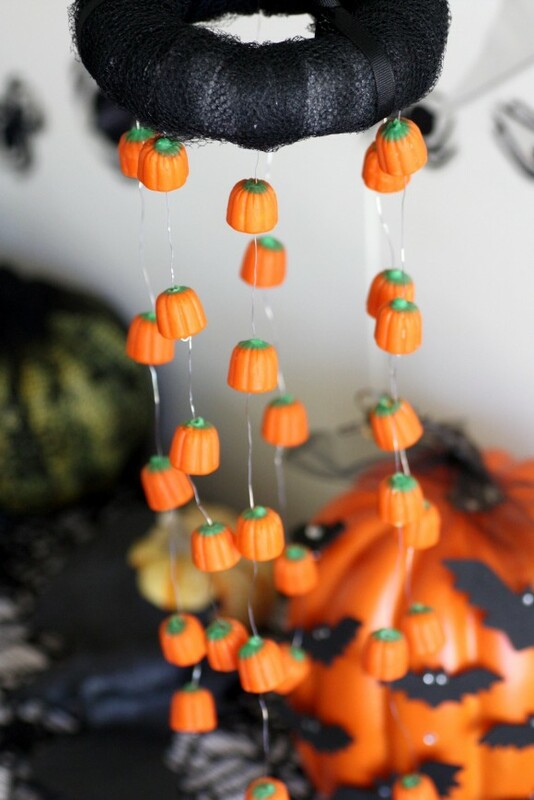 Using a Styrofoam ring, wire, and candy corn pumpkins you can whip this halloween chandelier up in less than half an hour. 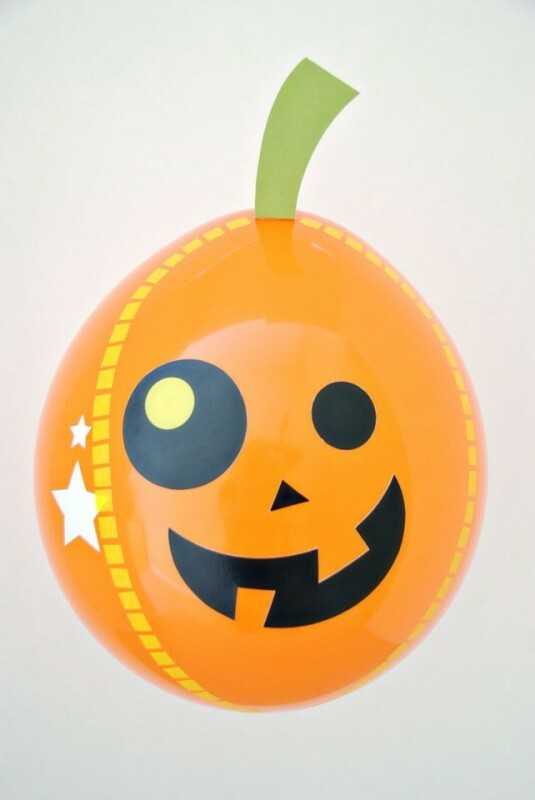 Print out the free printable pumpkin face, cut it out, and attach it to a balloon. You've got yourself an easy jack-o-lantern. 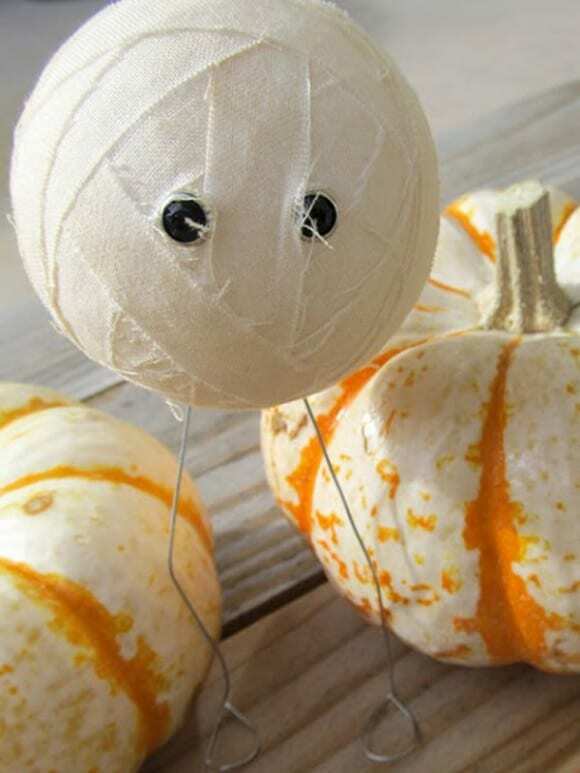 Just using some muslin, Styrofoam balls, wire, and eyelets/brads you can make these adorable mummies. 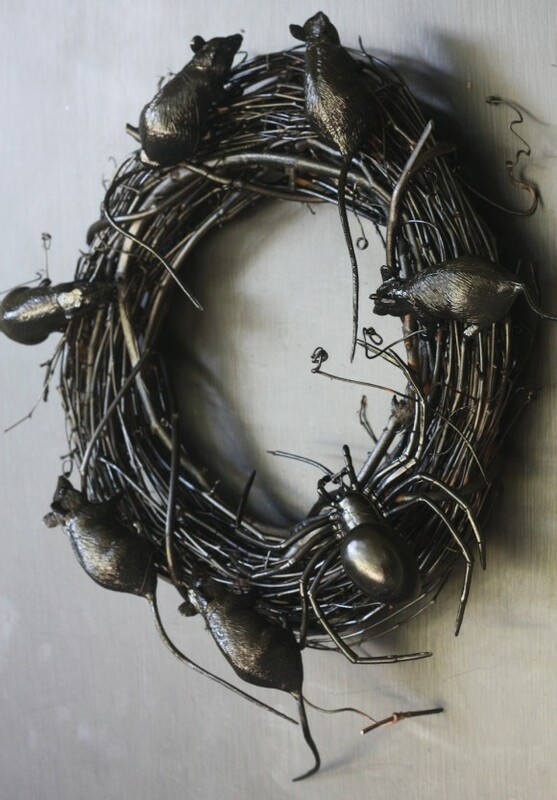 This is just a grapevine wreath, wire, plastic rats and snakes, and some black shiny spray paint. 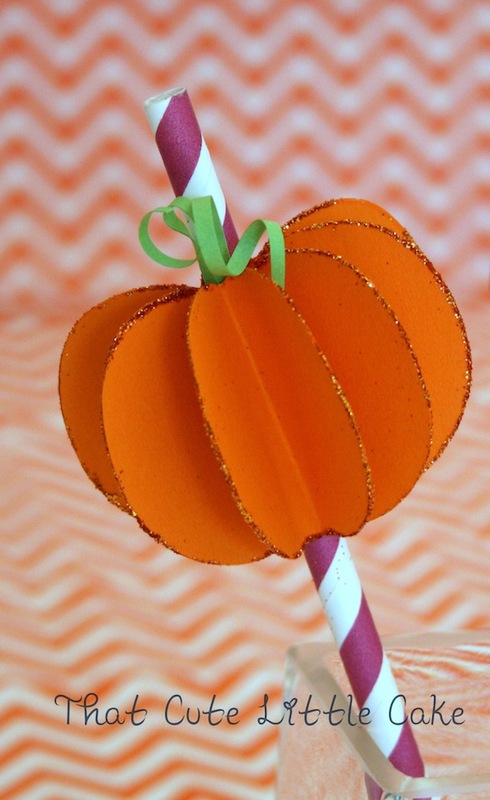 How cute would these paper pumpkin straws look at your Halloween party or Thanksgiving celebration. 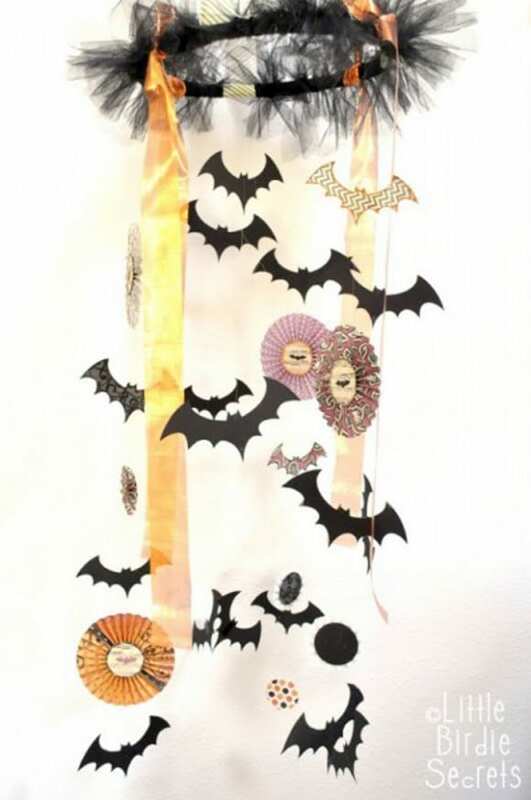 Using a embroidery hoop, satin ribbons, black tulle, and Halloween cut-outs you can easily make this stylish chandelier. If you've never made gak, you are in for a surprise! I've never met a kid (or grownup) who didn't love playing with this stuff. It's the perfect party favor. 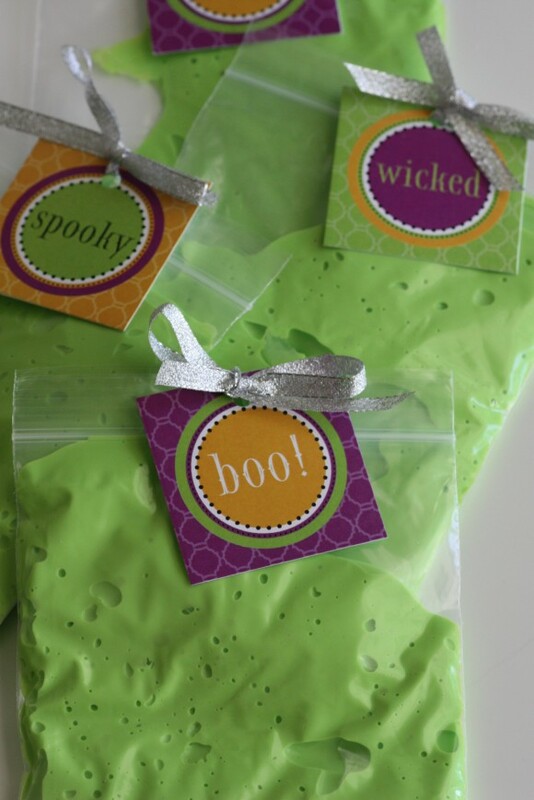 I've included some bonus Halloween crafts to give you even more ideas for an awesome Halloween! 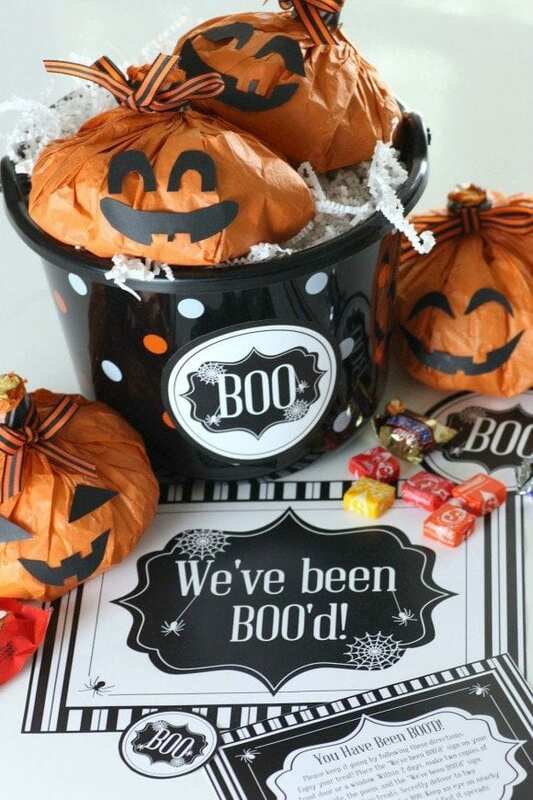 Click to download get the free "We've Been Boo'd" printables, then make these super simple Halloween pumpkins to stuff in your buckets. Hope you were inspired by Halloween ideas. 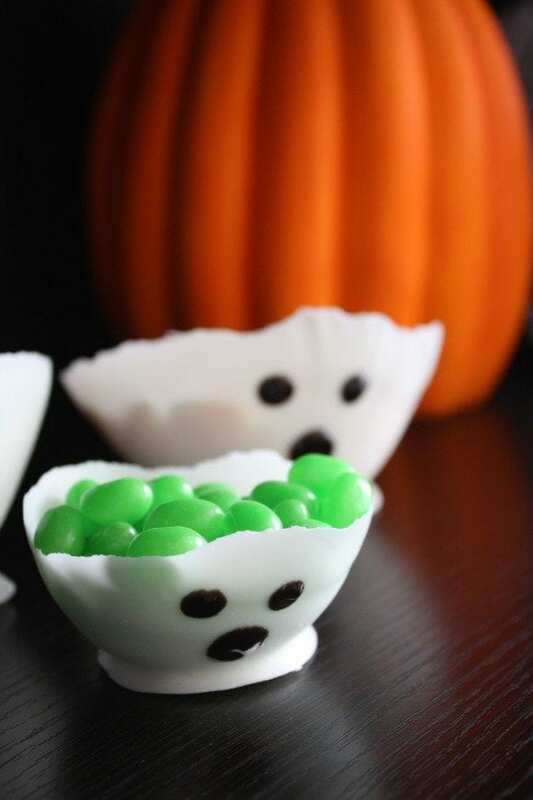 For more Halloween inspiration, check out these awesome Halloween parties from our site, free Halloween printables, and these amazing Halloween party supplies from our site.